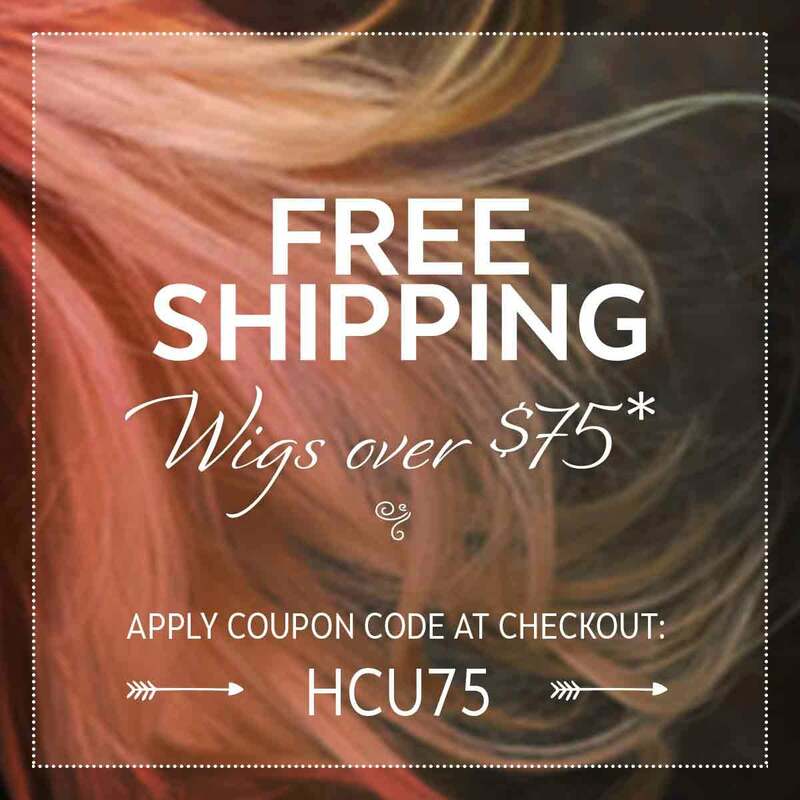 Our human hair wigs are recommended for women who have experience wearing wigs and enjoy the styling versatility they allow. Human hair wigs provide a highly natural look and a silky feel. These wigs typically come in a basic style, but most real hair wigs will have to be professionally styled or trimmed to give the exact look you require. Human hair wigs are loved by many for their perfectly natural qualities and versatility when it comes to styling. While we generally recommend these for people with a little more experience in the wig wearing arena, they’re really a great option for anyone who is passionate about being able to curl, straighten, cut, or dye their wig just like a real head of hair. Here’s the deal - many people who are affected by illness value convenience above all else, and human hair wigs do require some serious maintenance. However, if variety is essential to you, then a real hair wig might be a good choice because you have more styling options than with a synthetic wig. Human hair wigs can be taken to a hair salon and colored or cut to look like your own hair (be sure to find a stylist with wig care know-how). It’s also possible to more closely match the texture of your own hair. Plus, they just feel great to wear - when you reach up to tuck a lock behind your ear or scratch your head, the strands will feel normal. If you’re still debating between human hair wigs and synthetic wigs, check out our ultimate guide to Synthetic Hair vs Human Hair. We’ll walk you through a list of questions that can help determine which is right for you. When cared for correctly, human hair wigs can last for as long as a year (as opposed to 4-6 months for a synthetic wig). So, one of the things to consider while shopping is how long you’re expecting to experience hair loss. Talk to your doctor to determine if you’re looking at weeks, months, or even longer. A real hair wig is a great investment for someone who needs luscious locks for the long term. Real hair wigs are more fragile than synthetic wigs, and washing them requires a delicate touch due to the intricate way they’re made. We recommend washing a human hair wig once every 7-14 days, because the lifespan is shortened each time it’s washed. Be sure to use products specifically for wigs, which are designed to be gentle and moisturizing. Check out our a step-by-step guide on How to Wash a Human Hair Wig for detailed instructions that will take the stress out of washing up. Of course, the lifespan of a human hair wig really depends on how often it’s worn and how it’s cared for. To make it last as long as possible, we recommend using a minimum amount of styling product on it because the less gunk that goes in, the less you’ll need to wash out. That alone will help keep your wig in tip-top shape. Another tip is to wear a wig cap. You’ve got all kinds of oils brewing up there, and a wig cap creates a nice barrier between your scalp and the wig. Avoid friction that could pull on the strands (take it off while you nap!) and don’t blow dry your wig. These guys are delicately constructed to give you the most natural look possible, and harsh blasts of hot wind definitely won’t do a human hair wig any favors. We recommend giving your real hair wig a rest every once in a while (when your schedule allows it) to help the wig last longer overall. Keep it on a wig stand away from the elements and any heat sources or moisture. The next time you need to look fabulous, your good hair day will be ready and waiting.